Thereâ€™s been quite a bit of volatility with Silver prices. After a nice rally into early 2015, the past 2 weeks has ushered in some price weakness. And this begs the question: Do lower prices loom for Silver in 2015? Back in August, 2014, I did an article on Silver Futures (SI) where I used my custom Fibonacci method to ascertain probable targets for silver in the short and long term. I talked about threeÂ targets, the shorter term ones being nearly identical at 19.355 and 19.205. Both of those short term targets were hit and closed. The third and longer term projected target was 14.095. At that time, silver futures were trading at 19.395 so a pullback of (27.32%) seemed somewhat of a stretch. But was it a too far stretch? Let’s dig in and see. In the chart below, you can see the target of 14.095 was missed by 0.06Â¢ with a current low being put in at 14.155. 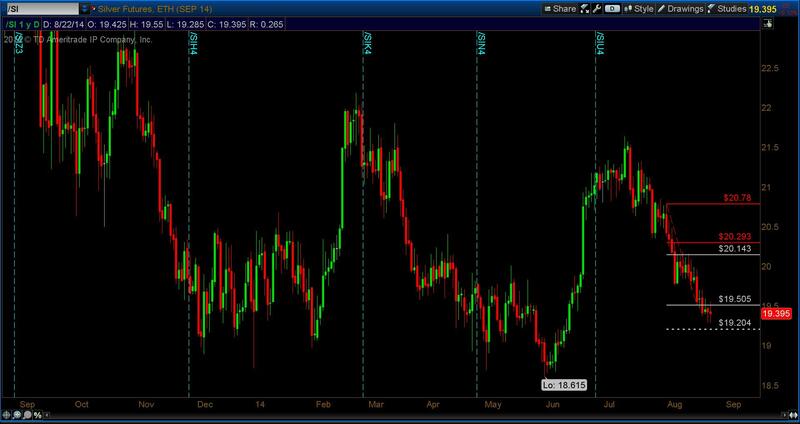 Silver Futures 1 year, daily chart. Now let’s move in for a tighter view and see if the 14.095 target still looks valid. 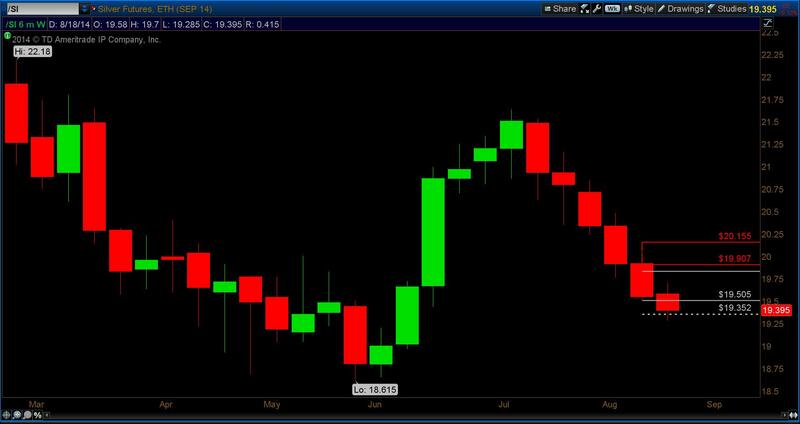 In the below chart, you’ll see a daily, short term target of 18.42 has been hit and so far rejected 4 times. On Friday, February 6th, 2015 price pulled back to and bounced off of the support area of 16.69 – 16.41. Watch these two levels on silver futures as a close below 16.41 will give us a new, short term, downside target. Silver futures’ retreatÂ from the March, 2014 high to the December, 2015 low was (36.18%). I still maintain my call for lower silver prices.